Dan hails from the city of Brotherly Love where he grew up imitating cartoon characters and creating silly voices at every opportunity. He caught the acting bug early on and discovered that all the world really is a stage. He received vocal training from the illustrious Philadelphia Boys Choir, with whom he performed onstage alongside Pavarotti at Carnegie Hall, sang at the Sydney Opera House and dozens of venues around the Philadelphia area including the Academy of Music. 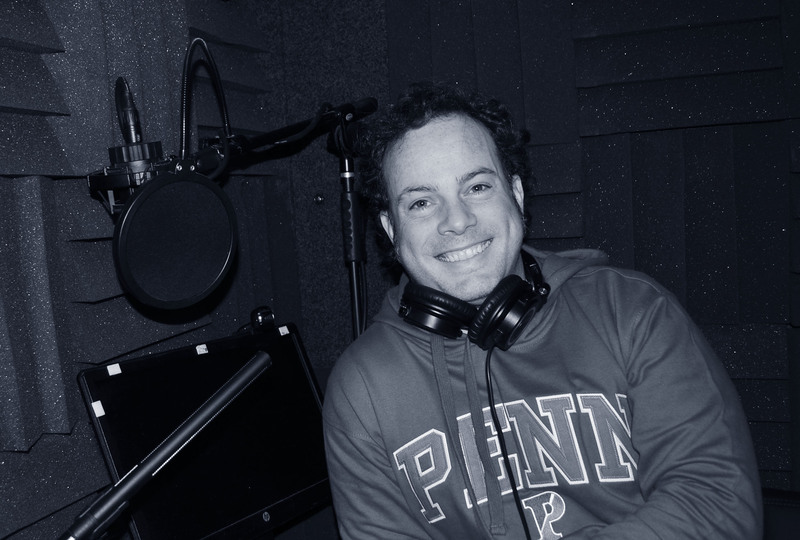 He performed in musical theater productions through high school and then earned dual degrees in Theatre Arts and Communications from the University of Pennsylvania, where he interned at the public radio station, WXPN and also had the opportunity to perform in the Edinburgh Fringe Festival. Following graduation, he toured all over the United States with a children’s theater company. In 2012, after working for several years as a box office manager and subsequently as a technology trainer for local theater companies, he started a family and decided to stay home with his children and pursue voice-over work, in which he had always been interested. It proved to be a perfect fit and he’s been loving it ever since.